Whether you’re a smaller mom and pop estate sale company or you run a bigger outfit with sales that generate thousands of dollars, you probably have some employees helping out. Since many estate sale companies don’t have experience managing employees, we rounded up a few of our frequently asked questions from the Estate Sale Company Network. Learn what to keep in mind when hiring, and keeping, your employees. You’ll want to create an employee handbook or guide (this could be as simple as a one-sheeter) that outlines your policy on the items below. Having your policies in writing will cut down on bad scenarios later, like having to pay unemployment. It’s also smart to have a vetting process in place so you don’t hire any old shmoe off the street. Background and credit checks give some insight into a person’s character (even though they’re not fool-proof). In-person interviews with everyone on your team should also be standard, as it’s hard to get a feel of someone just from their online profile or resume, no matter how outstanding it is. How to pay your employees is a pretty big concern — and there are several ways to go about it. Hourly. You could pay hourly, beginning with whatever minimum wage is in your city. Find out what other estate sale companies in your area pay, so you can stay competitive. By the sale. This is pretty self-explanatory. The bigger the sale, the more work involved, so the higher the pay. Some estate sale companies choose to charge by the sale and itemize employee help as an expense, thus passing off the cost to the consignor. This might be something to think about it if you rarely need part-time help. Profit sharing. Another way to pay employees is to set up some sort of profit-sharing system and pay by the sale. The larger the sale or more items sold, the more profits your employees gets a part of. Bonuses. This works nicely with hourly wages or commission, and bonuses can be rewarded for outstanding work, selling big ticket items, showing up early for set-up, or staying late to clean. You may also want to give “bonuses” for extra miles driven if you have some sales in neighboring cities. Commission. Some estate sale companies pay commission for items sold to help incentivize employees. Tracking payroll. We covered this in more detail in a post called Tech Tools of the Trade. Some payroll programs to check out include Quick Books, Quicken and Intuit. Employees need time off. But estate sales follow their own seasonal ebbs and flows, so you’ll want to be up front about when good and bad times are to ask off. For example, does your company hold estate sales on holiday weekends? If so, you’ll need to let your employees know up front not to make vacation plans. Sick Time. How will you deal with employees who are sick the day of a sale? Many places have a no-call, no-show (means you’re fired) policy. But you might not want to to fire a trusted employee who gets food poisoning on accident— and people do get sick unexpectedly. Figure out what your sick policy is and be clear in your employee guidelines. That way if an employee takes advantage of the system, you’ll have a policy in place. Breaks. 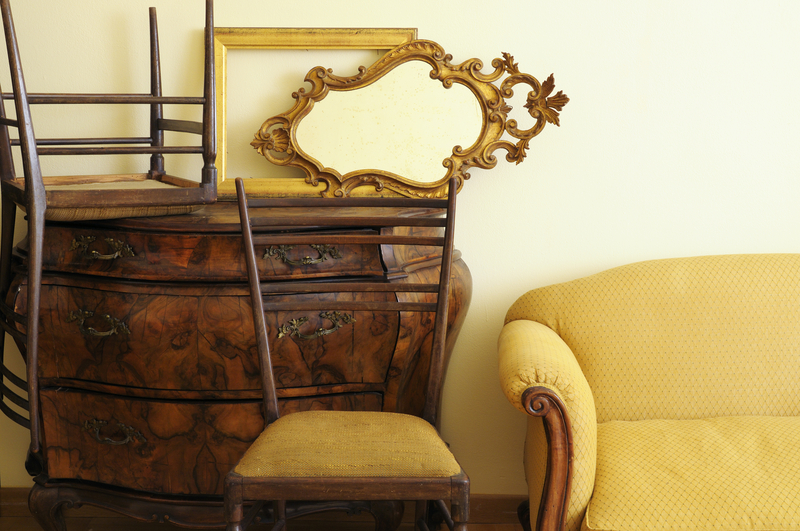 Liquidations can be all-day affairs, from setting up your estate sale to clean up. Your employee(s) may legally be required to take a break in your state. It’s also never a bad idea to allow a little time to recharge. 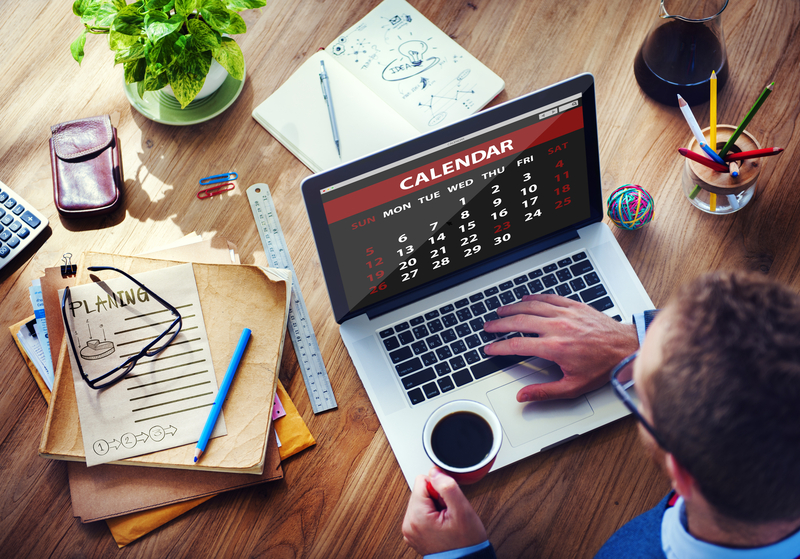 Figure out your break policy and outline it in your employee handbook. This might also be a good time to address smoke breaks. If you don’t want employees smoking in the driveway or on the street in front of the estate sale, ban tobacco products within a certain number of feet of the sale — or altogether if you think it could be a danger or liability. This should go without saying, but just in case, it’s a good idea to outline the fact that you won’t allow alcohol or drugs at your estate sales — or employees under the influence of alcohol or drugs. Before hiring anyone, even if it’s someone with references or someone you know it’s a good idea to conduct a background check. Better to be safe than sorry! And don’t discriminate. Check the background of anyone you hire, from someone who applies off the Internet to your best friend’s nephew. It’s your estate sale company, and you have every right to dictate what the people at your sale are wearing. This is usually along the lines of no cut-off shorts or crop tops or flip-flops, but you may want to outline something more formal. Some estate sale companies provide shirts for their employees or some other uniform. Your employee handbook is a good place to let employees know how you expect them to present themselves. Just like auto or home insurance, workman’s compensation insurance will protect your company in the event something happens to an employee at one of your sales. Estate sales happen in old homes, and every home is different with items you may not have encountered before. In other words, strange things happen. If something were to occur involving an employee, not having insurance could wipe you out financially – meaning the end of your business. It’s up to you to figure out if and how to compensate travel time and cost. Do you count travel time to and from sales as part of the hours worked? If not, will gas be compensated or reimbursed in employees’ paychecks? These are all things to consider and include in the employee handbook. If you don’t want employees to be on their phones during your sale, lay down the law. While employees who bring in friends may mean more business, they can also be distracting and take away from the job. The worst case scenario is they’ll expect discounts. And children can also be huge distractions. 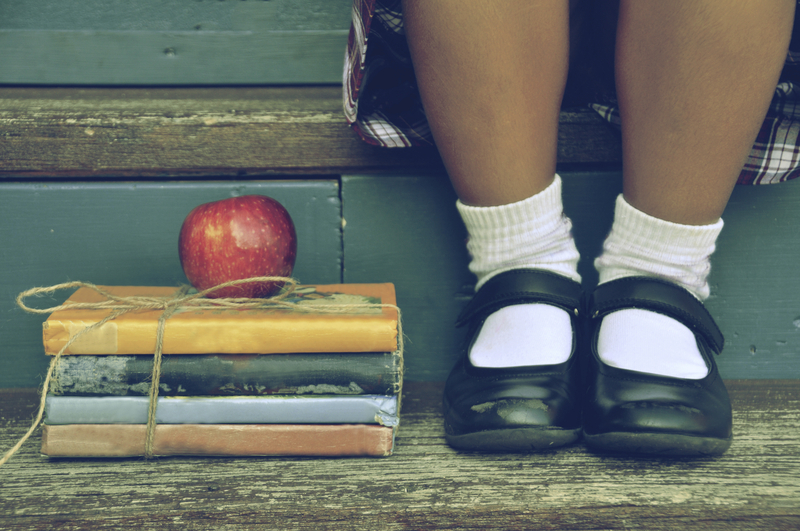 Be clear in the rules about whether or not friends or children are allowed. This is a big one. One of the perks of working for an estate sale company of course is getting to shop at all the estate sales. This is one reason why people work at estate sales in the first place. But don’t let that dictate how you run your business. There are several ways to handle employees making purchases from your estate sales — and reasoning behind all sorts of ways of handling business. Let employees purchase items early. Some estate sale companies use this as a perk of the job. Other companies prefer to let their shoppers have first choice, so they don’t gain the reputation for having sales that are picked over. Another thing to note with early purchases are advertising photos. If you advertise certain items, make sure they’re available for shoppers and haven’t already been snatched up by an employee. Treat them like a customer. They may buy during sale hours, just like customers, with no special deals. Enact a waiting period. Whether this means two hours after your estate sale begins, or not until the 3rd day 50% off discount, outline your waiting period in your employee handbook. Allow leftovers. While keeping the big ticket or interesting items for customers. By bid. Allow employees to bid on items. 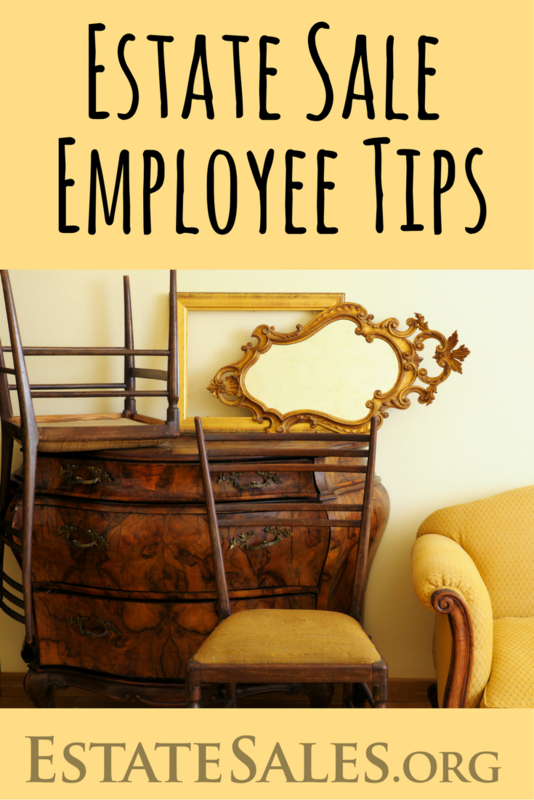 What tips do you have to offer for how you handle your estate sale employees? Let us know in the comments below!